A cellist that has merged the worlds of rock and contemporary classical music through her innovative looping technique, it's time to meet Zoë Keating. Born on February 2nd 1972 in Ontario, Canada, cellist Zoë Keating has carved her own niche in contemporary classical music. Keating began playing the cello at the age of just 8 years old, studying classical repertoire and eventually obtaining a liberal arts degree from Sarah Lawrence College in New York. By her own admission, Keating's early ambition of being a traditional orchestral cellist was dashed after her experience at the San Francisco Conservatory of Music - the audition process was so daunting that she was unable to perform at her best, and she vowed never to play classical music again. 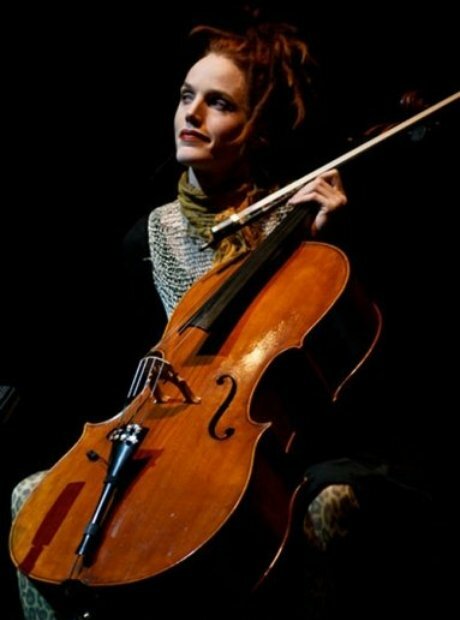 Keating is perhaps best-known for her ongoing One Cello x 16 project, which features her signature looping style of cello playing, layering up melodic fragments until a huge sound is formed. Zoë has amassed a gargantuan following on Twitter of well over a million people. Followers can expect tour updates, cooking successes, backstage snaps and pictures of her cat, Max. For her own albums, Keating uses complex electronic looping techniques to give her cello a choral, multi-layered sound. Keating has guested on countless recordings by other artists, perhaps most notably on albums by electro songwriter Imogen Heap (pictured), who was so enthused with her that she took Keating on tour with her. Between 2002 and 2006, Keating was a full-time member of the cello-centric rock band Rasputina, who have links with acts as diverse as Marilyn Manson and Nirvana. Alongside Ben Folds, Keating was a guest musician on the debut album by controversial singer and former member of The Dresden Dolls, Amanda Palmer (you can just make out Zoë in the background). Keating has said on several occasions that her success is down to her embracing of technology. From selling her records via her own online shop, direct to consumers, to her deep knowledge of the computer programmes that allow her to make her music, it seems being a geek has served her well. On her blog, Keating is surprisingly up-front about her experiences of the music industry, from writing about the perils of licensing music for TV and films to the exact number of streams and corresponding royalties she makes from Spotify. Music from several of her albums have been featured in various television programmes and movies, from a US version of Sherlock to the Oscar-nominated Tom Hardy film Warrior. 2011 saw Keating's Into The Trees album pick up an Independent Music Award in the Contemporary Classical category. The judging panel included Andrew W.K., Portishead's Beth Gibbons and Tom Waits. 2014 will see Zoë appear on a cruise ship, as part of a festival curated by the songwriter Jonathan Coulton. Despite making her living from being an international touring cellist, Keating was also an information architect, and worked on projects for the Database of Recorded American music before becoming a professional musician.